We specialise in in the sale and repair of all BMW Mini models and Japanese import MPV and camper vans. All of our vehicles are handpicked and prepared to the highest of standards. We constantly look to train our staff and improve our business to give you a great service and to ensure our customer’s peace of mind. 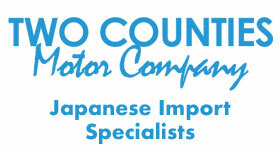 We are an established Garage who specialise in the service, maintenance and repair of Mazda Bongos. We currently maintain over 50 regular vans and increasing all the time. All works are professionally undertaken i.e waxoiling, cambelt replacement, valeting, annual servicing and any major / minor mechanical or cosmetic repairs. All parts are quickly and easily sourced at sensible prices. 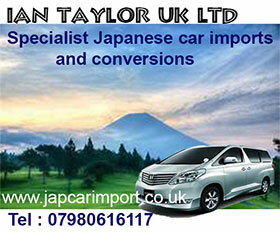 Ian Taylor UK Ltd specialises in the supply of Mazda Bongo vans and conversions. All vehicles come with 6 month warranty, tax and MOT. Each unit is fully serviced, undersealed and has new cam belt fitted by our own experienced service team. We provide an excellent after sales service including extended warrantee, servicing and car body repairs. Just call Ian to discuss your requirements – if we don’t have the Bongo you want in stock we will try our best to find one. Our Camper conversions are built and fitted on site with a strong emphasis on praticality, usabiltiy and above all, quality. You are quite welcome to bring in your Bongo, regardless of where it was purchased, for a free chat on conversion options we can offer you. For the DIY enthusiast we are able to supply everything you require to create your own perfect campervan at a very reasonable cost. 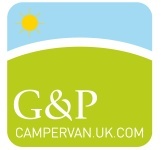 G&P CAMPERVAN.UK.COM – The Midlands premier vehicle converter. Based in the central belt of Scotland, only minutes from Glasgow, Edinburgh, The Borders and Fife. It really does pay to visit Scotland’s longest established campervan specialist. Our stock of camper’s and MPV’s change daily but we always endeavour to hold 30 units in stock of which half are converted to campervans, and the remainder ready to be converted. This is particularly handy as you can pick the unit you wish and the conversion, roof etc. to suit your needs. 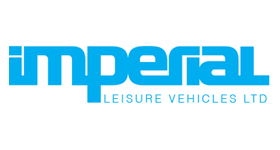 We are so confident in the quality of our van’s that we offer the best Campervan warranty in the business: 3 years mechanical and 3 years on the conversions. Mazda Bongo, ALL years and models supplied camper converted or un-converted, with proof of mileage and in excellent condition. Best Prices in UK x Far! Save thousands of £’s via Algys Autos Ltd. Prices for OTR UK with Mot, Tax and registered from as little as £4495! ALL our Bongo @ unbeatable prices. Deliveries Nationwide. Constant Stock Flow, Daily Updates, email for details.